Discover hand knotted gorgeous rugs from around the world. All handmade and highest quality wool rugs and runners available. Since 1997 located in the heart of Webster Groves, Mo. Come in and view our selection of fine area rugs including transitional, classic & contemporary with a large assortment of oriental, Persian and Tibetan rugs. We can also help you design a custom area rugs to meet your needs. 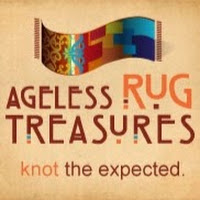 Please check Ageless Rug Treasures Inc for more information.